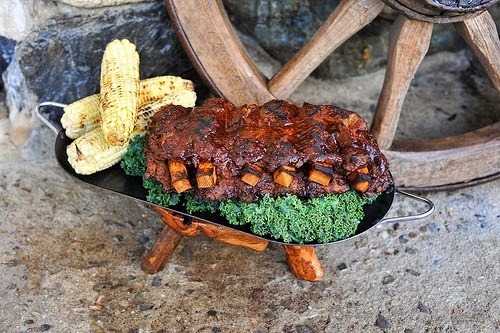 Nothing says summertime like a rack of seitan bbq ribs! 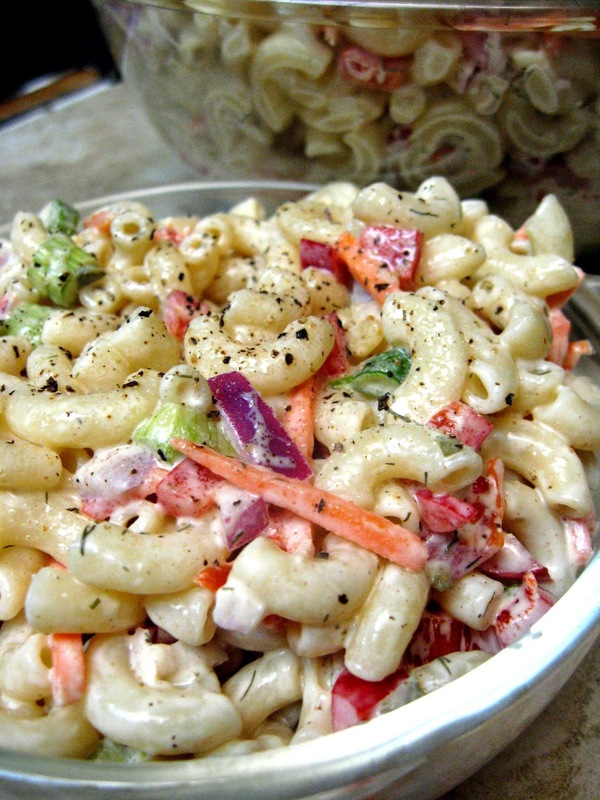 This is the kind of macaroni salad you could EASILY serve to an omnivorous group at a potluck or get togetheror Saturday afternoon barbecue, without anyone ever questioning the veganocity. It’s chock full of crunchyveggies and coated in a creamy, tangy dressing. While pasta is boiling, prep vegetables and prepare dressing. To make the dressing, whisk together mayo with cider vinegar, mustard, and dill. Once pasta is cooked, strain and run under cold water to cool. Return to the pot. Add chopped veggies, relish, and dressing to the cooled pasta and toss to combine.